Bioslimming is a revolutionary body program, which detoxes, targets cellulite, fat, slims, firms & tones, as well as enhancing weight loss. It is the must have treatment to get you in shape. This fast acting cellulite treatment contains active ingredients which have been proven to have an impact on cellulite, on clinical trials the appearance of cellulite diminished by 47% from first treatment and reduced by up to 67% in 4 weeks following regular salon treatments and the use of homecare products. This advanced treatment tackles cellulite by stimulating the blood circulation and also increases the peripheral circulation; it also acts to pull out the fluid between the cells as well as impacting on collagen production which further aides in the fight against cellulite. It enhances the removal of toxins and actively breaks down the build up of the fatty deposits responsible for cellulite. It attacks cellulite by tackling the problem where it exists - just beneath your skin. This effectively reduces the appearance of stubborn cellulite, to leave your skin smooth, firm and noticeably toned. Bioslimming’s powerful active ingredients induce Lipolysis (fat burning under the skin) helping to get rid of fatty deposits, it enhance weight loss, reduces appearance of stretch marks, varicose veins & spider veins. Bioslimming also provides a whole host of additional benefits which are derived from the active ingredients. Following application, Bioslimming continues to work for 12 hours and increases the body’s consumption of calories, therefore increasing the slimming, firming and detoxing effect and further reducing cellulite and inches. With decreased circulation you get less oxygen and nutrition to that area and with that we see a decrease in collagen production…. Also, at this time fat cells start becoming larger; [they] begin protruding through the collagen [and become the bumpy fat known as cellulite]. In other words when fat escapes from the subcutaneous layer of the skin, it flows up to the epidermis and remains there to form orange the peel like appearance in the skin known as cellulite. Recent Research has shown that cellulite is caused by inflammation in the skin, which over time, contributes to the breakdown of collagen, resulting in a reduction of the skins firmness and suppleness. This new evidence confirms that cellulite isn’t just about fat. In addition, the innovative formulas within Bioslimming help the penetration of more active ingredients being absorbed by the skin. Bioslimming increases your circulation, the heat in Active Slim Gel and Active Slim Cream helps to break down the fat, which smoothes out the skin. The application of Ultra Slim Effect on top of Active Slim Gel and Active Slim Cream helps reduce inflammation. The Ultra Slim Effect helps soften and break down cellulite through increased circulation and by reducing water retention. This factor is very important because cellulite generally accumulates in areas with poor circulation! Bioslimming gives the skin a smoother texture and increases the peripheral circulation resulting in areas which were once cold such as buttock & thighs becoming warm. The amount of cellulite is reduced within one to two weeks due to the concentration of active ingredients. 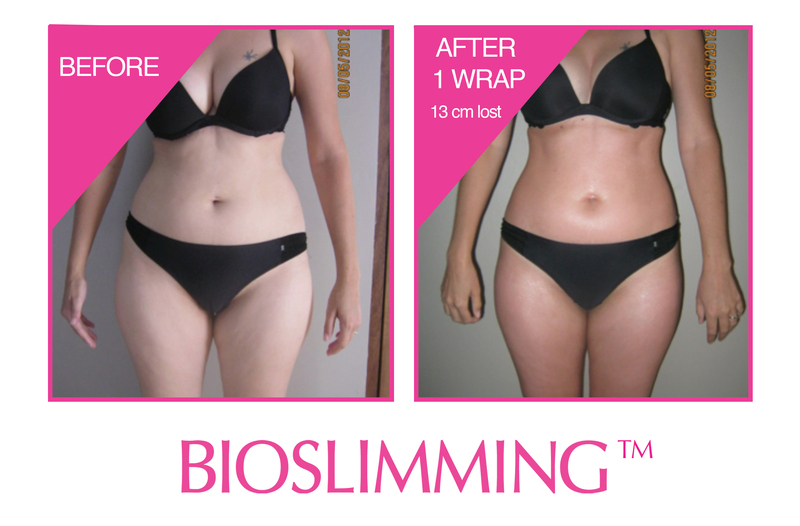 Use Bioslimming as often as you can to stimulate circulation and continue the contouring process on a daily basis. Using Bioslimming allows women to target their problem areas with precision. Due to its unique formulation Bioslimming successfully targets the fat cells, addresses the connective tissue and circulation aspects of cellulite. One of its main ingredients is Caffeine, as a stimulant it means that its application to the affected areas increases the metabolism, helps increase blood flow and facilitates the swift burning of fat in the adjoining areas. Caffeine also plays a part in the fat burning process itself, this action is reinforced with the algae extracts used in our formulas. Along with the benefits of an effective cellulite treatment, Bioslimming's thermal action intensifies the treatment by facilitating deeper tissue penetration, increases localised blood circulation and promotes lymphatic drainage. The result is a minimized appearance of lumpy skin, improved skin texture and a reduction in circumference measurements. Cellulite reduction and toning requires an increase in micro-circulation below the surface of the skin which in turn leads to restoring the health of the connective tissue (reducing the pulling down) and decreasing the fluid retention and shrinking the fat cells (reducing the pushing up). When applied and massaged into the skin Bioslimming helps to target the micro-circulation and increases lymphatic drainage (excess fluid) and helps shrink fat cells. Essential oils have a small molecular size. Because of their small size, their volatility and lipid-like characteristics, they are able to penetrate the skin to reach and affect the deeper layers of the skin before they enter the blood and lymphatic systems. It is a great advantage that they can affect more than just the surface layer of the skin. The Essential oils used in our formulas make an excellent anti-cellulite treatment because they help reduce toxins and other waste matter in bodily fluids, improve the blood circulation, help burn excess fat, tone the body, and soften the skin. They stimulate lymph drainage reducing fluid retention and detoxify the skin. Oils absorbed through skin pores and hair follicles enter bloodstream capillaries and circulate throughout the body. Because of the beneficial effects of inhalation of the fragrances as the oils are massaged onto your skin, it is difficult to separate the synergistic effects of inhalation and topical administration. Essential oils have a great detoxifying role because of their ability to digest toxic chemicals. Unlike many chemicals or drugs, essential oils do not accumulate and are quickly excreted from the body. They moisturize and soften the skin, making it plumper. This plumping will make the skin look fresher and fill in the dimples. The plant extracts and essential oils that stimulate circulation get things moving and help break up the blockages of fats and blood vessels around areas with cellulite! The massage with the essential oils and plant extracts works together to give the skin a smoother appearance! The Bioslimming wrap and professional massage is very efficient with the heating of subcutaneous tissue (hypodermis) that initiates a mechanical stretch in the skin. This in turn influences the production of collagen, stimulates the fibroblasts (fibroblast cells are responsible for the production of collagen) to enhance collagen secretion and helps to improve the elasticity of the septae (Fat cells are organised into lobules, which are separated by structures called septae. ), resulting in a significant side benefit of skin tightening! "When I started coming here I just wanted to have better communication, I was frustrated, worn out and frankly kinda sick of the same ol thing everyday. I had no idea that diving into learning better communication skills would make me fall in love with life again. Im on fire! Thank you..."